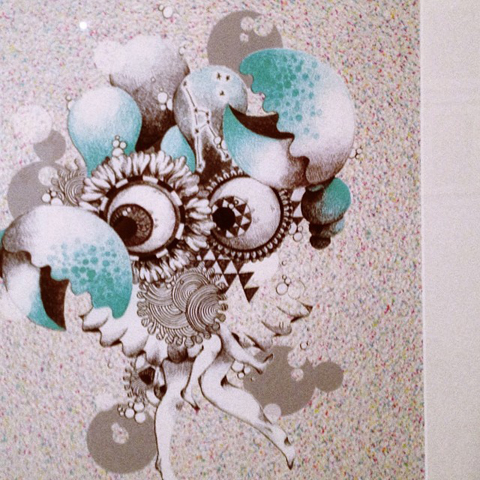 The best illustration work by students from Bournemouth, shown at the Embassy Tea Gallery in central London this July. 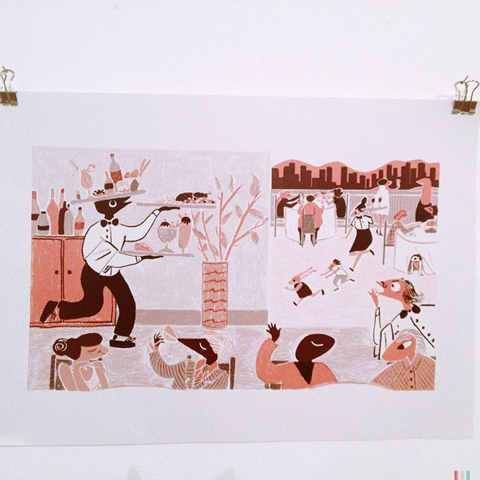 Illustrators from Arts University Bournemouth held their graduate show at the spacious Embassy Tea Gallery in central London. 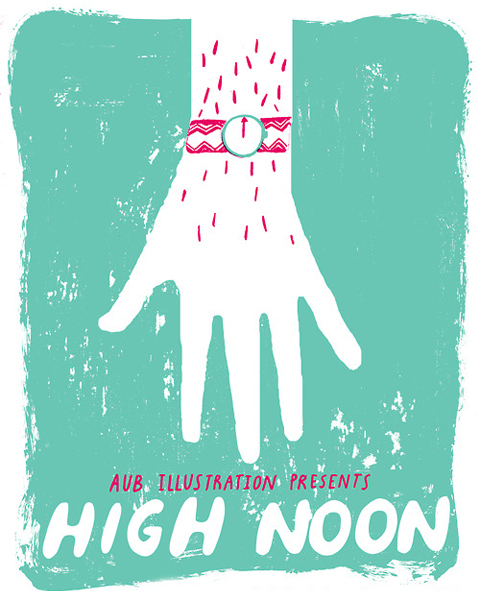 The High Noon poster and catalogue featured an eye-catching set of two contrasting hands, each bearing a watch. It was a wonderful chance to see the work of so many Amelia’s Magazine contributors alongside their fellow students. 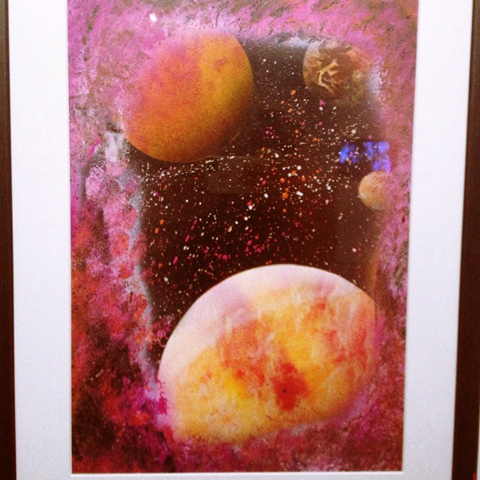 Planets and space dust will always grab my attention, spray painted by Tom Manning. 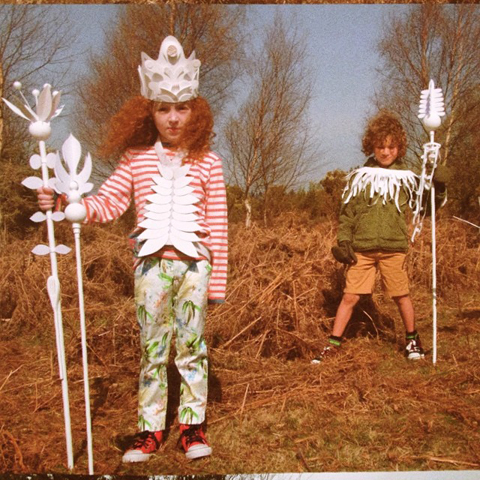 Bailey & Minchin collaborated on a series of photos featuring children in wild outfits. A great vision of childhood! 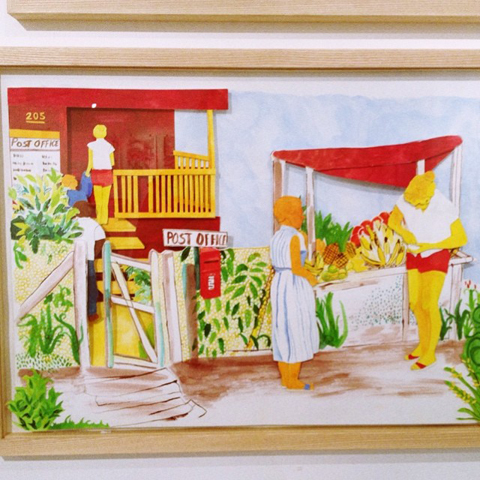 These layered papercut narrative scenes by Emma Sears feature a great use of colour. 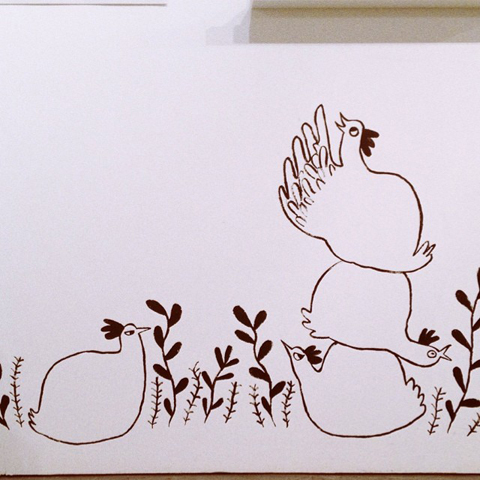 These chickens by Marianna Madriz have such great personality. 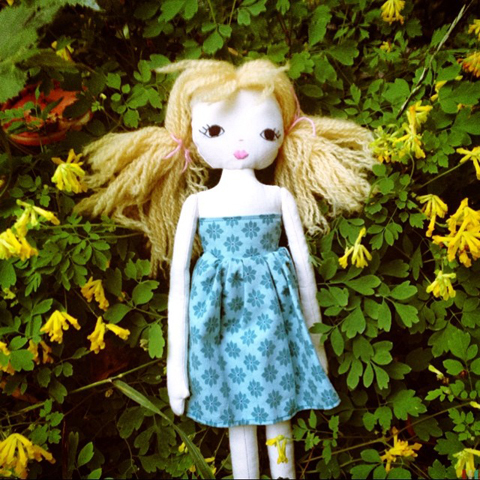 I also bought her lovely tale of leaving home & returning to find it still the best – inspired by her Venezuelan homeland. 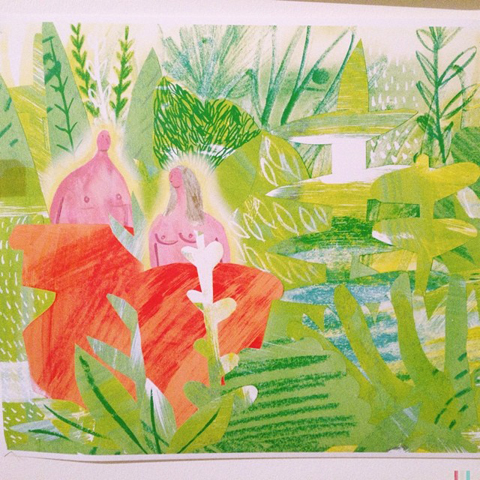 A couple of figures are discovered hiding in the greenery, by Florence Zealey. 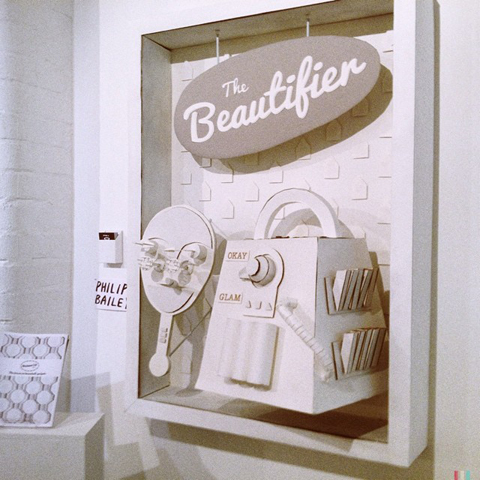 Philip Bailey used plain white paper to create this fantastical Beautifier sculpture. 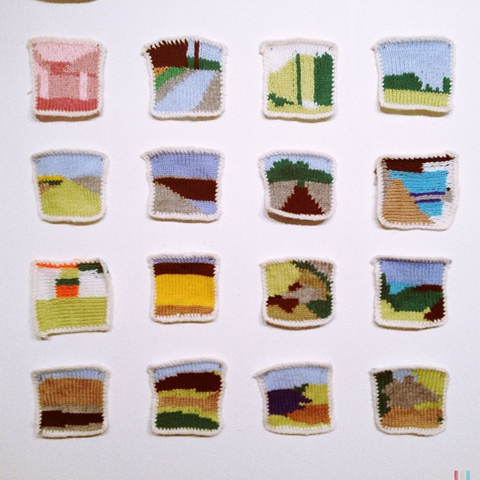 Knit squares by Crystal Budd feature enigmatic landscapes. 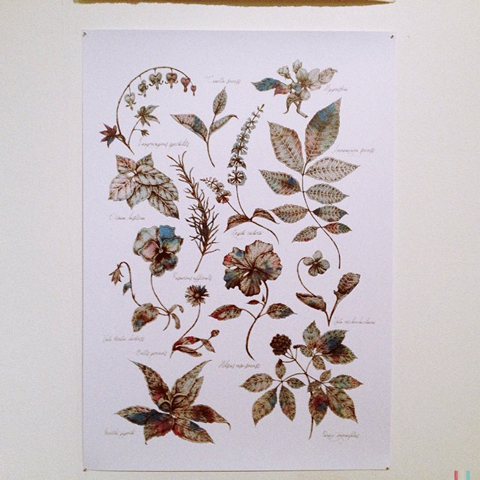 These delicate ink wash & textile designs are by Laura Borne. 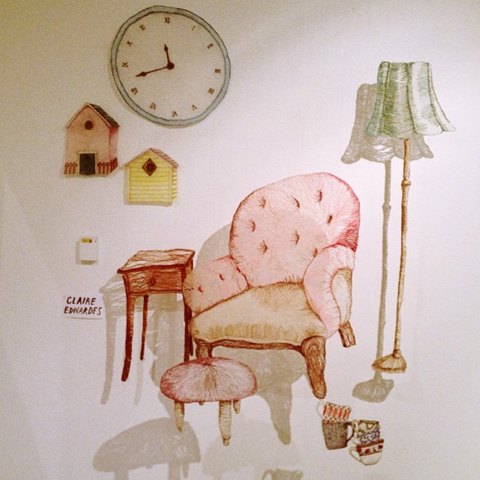 So clever, this embroidered room hangs daintily mid air. By Claire Edwardes. 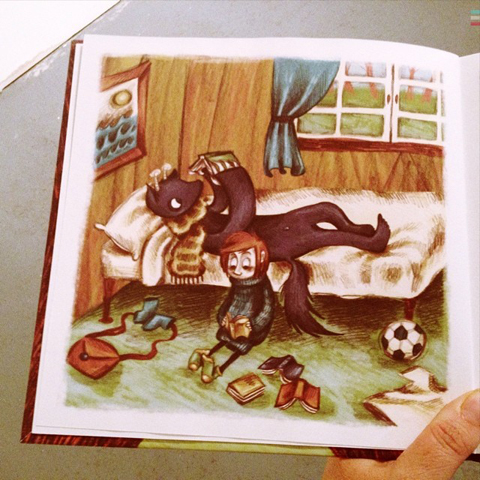 Eyeballs and dancing legs creep across the wall in this fantastical offering by Sooyeon Kim. 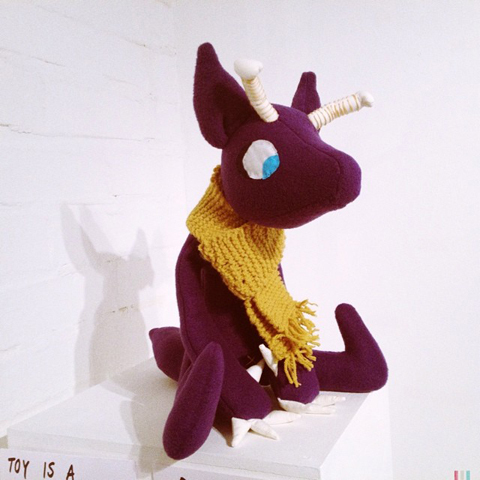 Mikkel is the friendly imaginary star of Maia Fjord’s comic book, sewn into a cuddly toy by Olivia Sharpe. 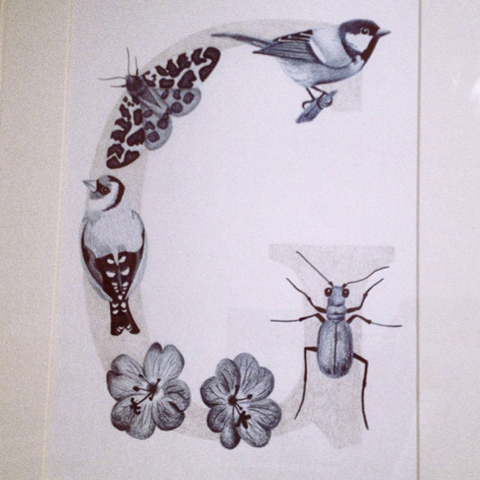 Birds and flowers, beetles and moths, feature on this beautifully illustrated G by Emma Honess. 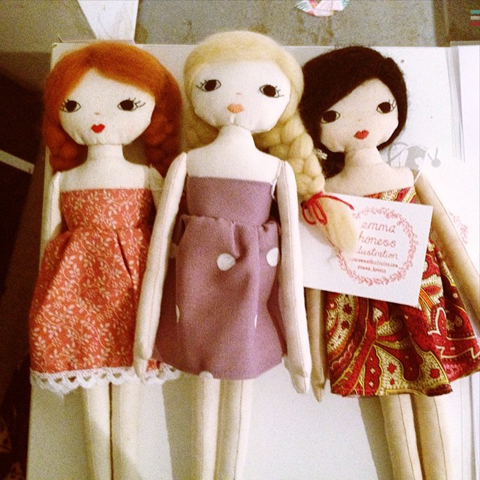 She had also honed her sewing skills, making some wonderful dolls that were for sale. I couldn’t resist a blonde one for my blonde boy! You can see more of the students’ work on the High Noon website.